NASHVILLE, Tenn. – (June 22, 2018) – Chart-topping, Platinum-selling and hit-making duo Dan + Shay (Dan Smyers + Shay Mooney) reach their newest milestone today, five years into their career, with the release of their highly anticipated self-titled album (AVAILABLE NOW). Immediately upon release the record skyrocketed to No. 1 on the iTunes Top Country Albums and No. 3 All-Genre. Co-produced by Smyers alongside the award-winning Scott Hendricks, the record features 11 brand new tracks with credits shared throughout by the duo and some of Nashville’s most prolific songwriters. 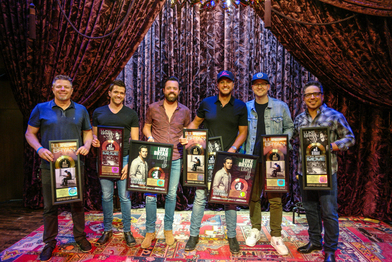 June 20, 2018 – After playing more than 30 sold-out arena and amphitheater dates, being named an ACM Male Vocalist nominee and scoring his 10th No. 1 single, Chris Young has added 15 more shows to his “Chris Young Losing Sleep 2018 World Tour.” Special guests Dan + Shay, Morgan Evans and Dee Jay Silver will join the multi-platinum entertainer, hailed “a true country singer” (Lincoln Journal Star) who has “handily made the leap to headliner status” (Green Bay Press Gazette) and puts on a “riveting performance” (La Crosse Tribune), on the added dates. NASHVILLE, TN - Jun. 20, 2018 - Three-time and reigning ACM “Entertainer of the Year” Jason Aldean announces details behind the grand opening of JASON ALDEAN’S KITCHEN + ROOF TOP BAR today when doors open officially at 5:00P CT (307 Broadway, Nashville, TN). In partnership with TC Restaurant Group, the three-story entertainment complex will host exclusive guests for a Grand Opening event from 6-9P CT, offering live music on two stages spilling over all three floors while taking in views on Lower Broadway's largest rooftop patio. In addition, patrons will be treated to unique cocktails and first taste of menu items. “All Day Long” is the first track taken from Brooks’ upcoming studio album to be released next year. Fans can pre-order the highly-anticipated release starting today here (available at a limited time only price of $10) and will receive the new single immediately, as well as an exclusive bonus track, "The Road I'm On," which will be the opening song of Brooks’ imminent tour. Brooks shared details of the new single with fans last night via “Inside Studio G,” his weekly interactive Facebook Live series, available to watch here. NASHVILLE, TN - Jun. 18, 2018 - Multi-PLATINUM singer/songwriter Dierks Bentley scores the No. One position on Billboard’s Top Country Albums chart this week with his critically acclaimed THE MOUNTAIN (Capitol Records Nashville), after moving over 102,000 units in total consumption. His seventh chart-topping No. One album marks the highest debut sales of his career. Reaching a new creative high, Bentley co-wrote 10 of the album’s 13 new tracks that are unified by themes of presence and positivity while ranging in style from textured rock to acoustic folk, including his recent 17th career No. One “Woman, Amen." 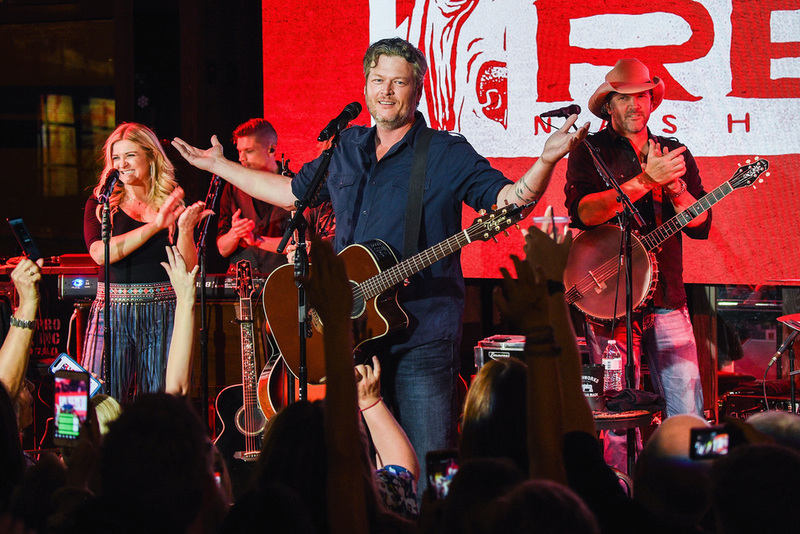 NASHVILLE, Tenn. – Ryman Hospitality Properties and Blake Shelton’s long awaited restaurant and bar Ole Red Nashville is officially open on famed Lower Broadway. 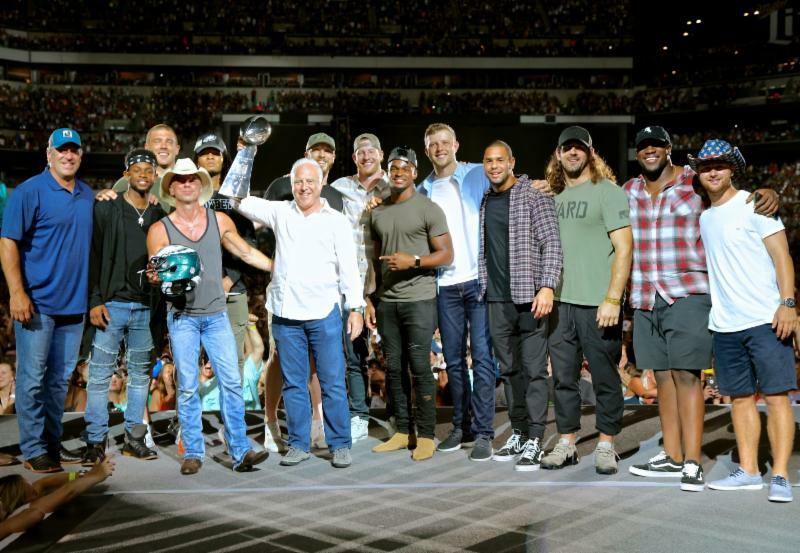 The entertainment venue celebrated yesterday, June 6, with a full day of powerhouse programming with national television broadcasts and unforgettable performances from country’s biggest stars. 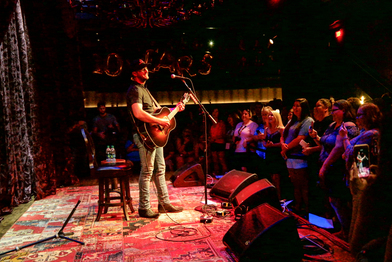 Nashville – June 9, 2018 – Country music superstar Luke Bryan spent a full day celebrating his fans and Music Row during CMA Fest yesterday. 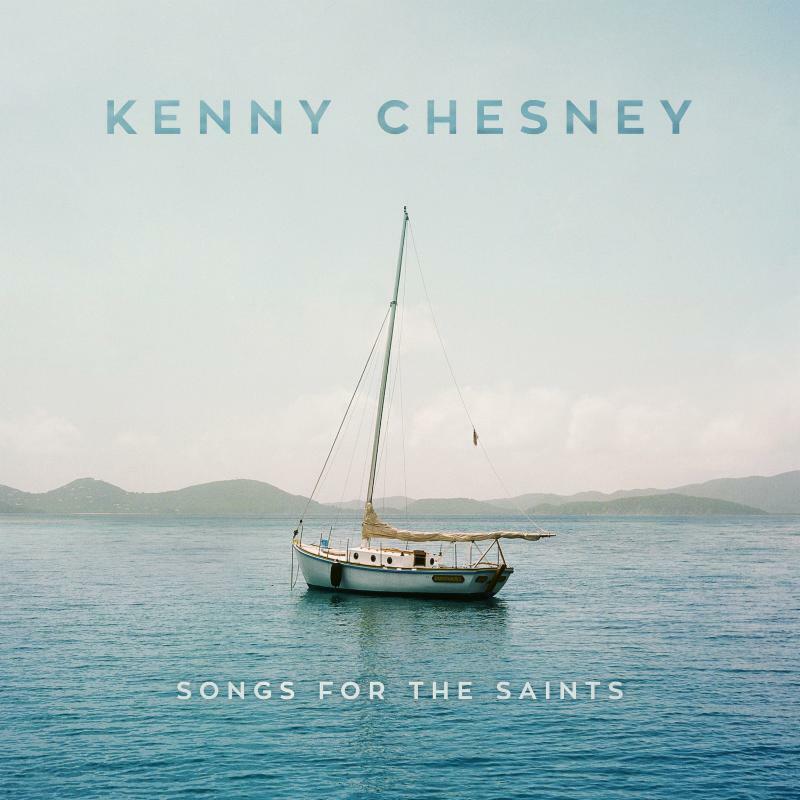 U.S. Virgin Islands – (June 13, 2018) – As friends were being airlifted off the Hurricane Irma-toppled Virgin Islands, Kenny Chesney was in the studio recording what in many ways was his response to the destruction that swept through in the Caribbean. Writing, recording and searching for songs in the moment added an immediacy to the music, and those recordings became Songs for the Saints.